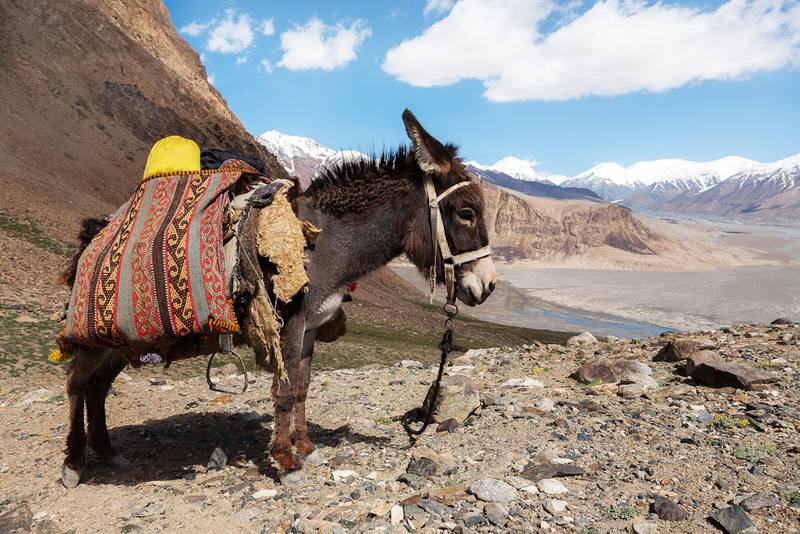 Donkey time: Rocky terrain and mountains make up the majority of Tajikistan. Tajikistan is a land of rocky terrain with temperatures going to extremes, but avid travellers who trek here will be rewarded many times over – number 37 on our 100 Secret Gems You Need To Know About list. This Central Asian country borders Afghanistan, China, Krygyzstan and Uzbekistan. Tajikistan has some of the most beautiful and most dramatic landscapes in the world. in fact, 93 per cent of the country is mountainous, including the soaring Pamir Mountains to the lake-streaked Fann Mountains, with the climate ranging from semi-arid to polar. This unique landscape draws intrepid travellers to the far-flung silk road country.